Tendayi Achiume has also said she is "appalled" at the number of years the seven men have been detained for. New Delhi: United Nations special rapporteur on racism E. Tendayi Achiume has expressed alarm at the Narendra Modi government’s decision to deport seven Rohingya men to Myanmar on October 3. Achiume has said in a statement that forcing the men to leave India could be considered refoulement, which violates international law. Non-refoulement is a principle in international law that stops a country from returning a person to a place where they would be at risk of persecution. “Given the ethnic identity of the men, this is a flagrant denial of their right to protection and could amount to refoulement,” Achiume has said. “The Indian government has an international legal obligation to fully acknowledge the institutionalised discrimination, persecution, hate and gross human rights violations these people have faced in their country of origin and provide them the necessary protection. The seven men, from the Kyauk Daw township in central Rakhine State, were detained in 2012 and held at the Silchar central prison in Cachar district, Assam on charges of irregular entry. 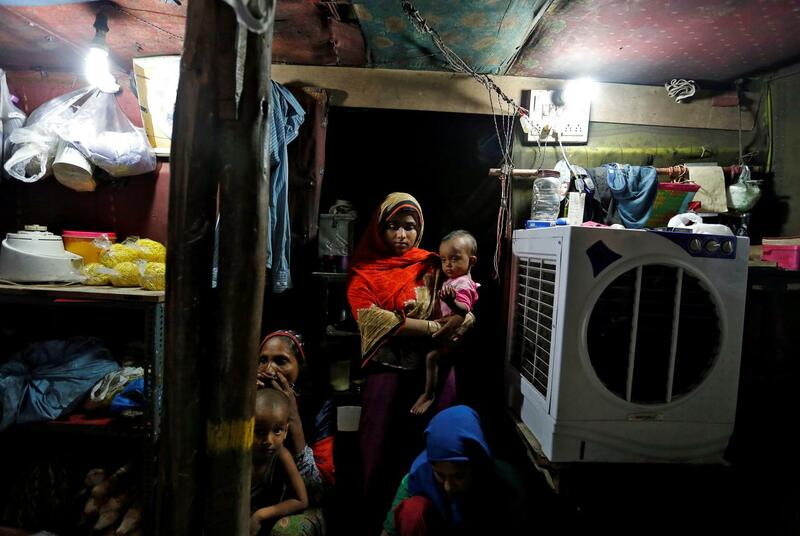 The Indian government is obligated to refer Rohingya people in the country to the UN refugee agency, Achiume said, so their protection needs can be assessed and proper information provided to them about their rights. She expressed concern that close to 200 Rohingya are being detained in India at the moment. “We urge the Government of India to abide by the international norm of non-refoulement and protect the rights of asylum seekers and refugees including Rohingyas,” she concluded. On October 1, Union home minister Rajnath Singh had directed all states to collect the biometric data of Rohingya “illegal migrants” for undertaking “action through diplomatic channels with Myanmar”. This happened just days after the Railway Board, acting on “intelligence inputs,” directed the Railway Protection Force – which comes under the home ministry – to look out for the movement of large number of Rohingya towards Kerala and to hand them over to the local police if they are found. As case filed by two Rohingya refugees is currently pending before the Supreme Court, asking that the government be told to stop the deportation process. In October 2017, the Supreme Court had asked the Centre not to treat the Rohingya Muslims issue as a national security issue but consider it as a humanitarian and human rights issue. Though the court stopped short of staying the government’s plans to deport Rohingya refugees in its written order, oral observations made by the bench and the leave it granted lawyers representing refugee rights to approach the court in the event of “any contingency” means it is unlikely to allow any actual deportations until it finally disposes of the matter. Former Chief Justice of India Dipak Misra had then also observed that till the matter is being heard by the court, there should not be any deportation of the refugees. However, additional solicitor general Tushar Mehta strenuously objected to any such order by the court, saying that it would embarrass the government in the international fora and would have wide ramifications. The court, therefore, ultimately passed an order saying that in case there is any contingency, the petitioners would be at liberty to approach the court. Also read: Will India Extend Protection to the World’s Most Persecuted Ethnic Minority – the Rohingya? In its affidavit to the apex court in September 2017, the Narendra Modi government had said the decision on whether or not refugees are allowed to settle in the country is best left to the executive. It has also called the Rohingya people living in India “illegal”. “There is serious national security threat/concern and when a just and fair procedure prescribed by law exist for deportation, this Hon’ble Court may decline its interference, leaving to the Central Government to exercise its essential executive function by way of a policy decision in larger interest of the country,” the affidavit said. The Ministry of Home Affairs also said in its affidavit before the Supreme Court that India, as a non-signatory to the 1951 United Nations Refugee Convention, was not obliged to adhere to the principle of non-refoulement. This, as The Wire reported before, was a reversal of India’s publicly stated position made at various international fora over the years.